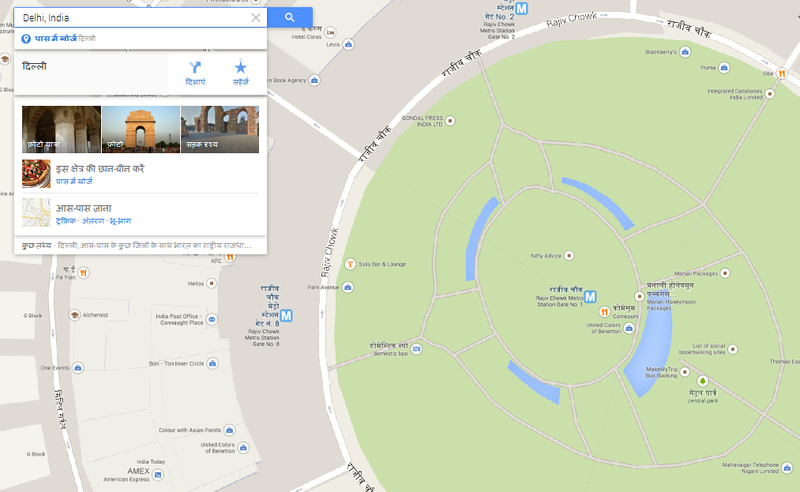 Google today launched its Google Maps in Hindi which will make its navigation service more useful for Indian user. It is available for Hindi for desktop and android mobile phone users, who will be able to see Hindi names for cities, localities, important roads and routes as well as popular points of interest such as public parks and schools. 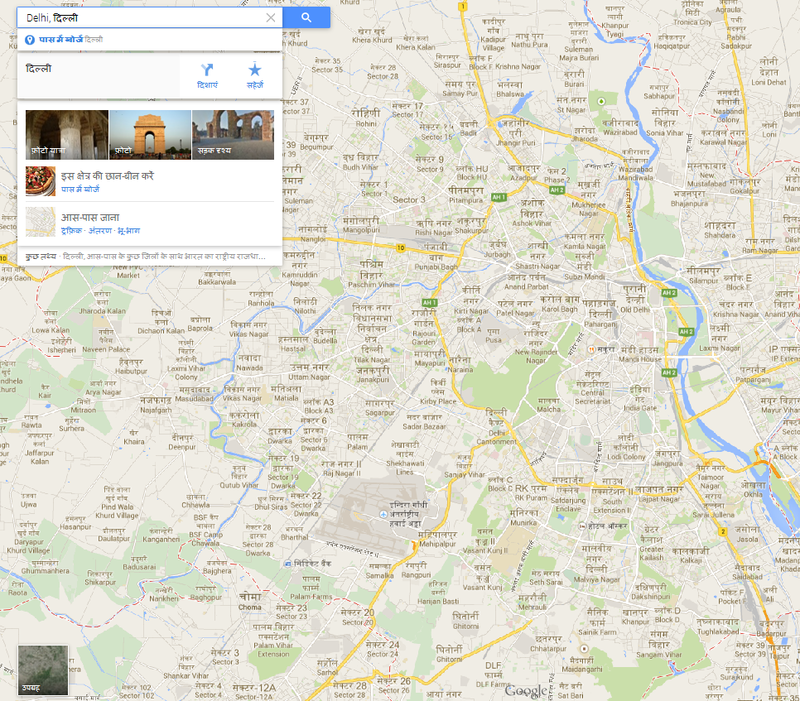 To explore Hindi name labels on Google Maps, people must enable Hindi as their preferred language on their device. On a desktop, user can change the language preference to Hindi on their Google account settings or by selecting the "Hindi" option at the bottom of the page on the google.co.in home page. On Android, users simply need to select the Hindi option within the "Language and input" menu found in their phone's 'settings menu'. After Hindi has been chosen as the preferred language, people will be able to see Hindi names directly on the map. These new labels that are visible on Google Maps today have been created by transliterating English names to Hindi, or, translating the English names to Hindi and ensuring the text matches with local dialects.